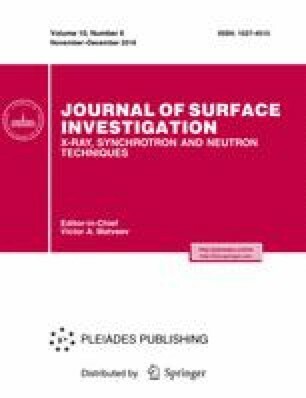 The effect of magnetic-structure processing in a rotating magnetic field on the structure and texture of a layer of yttrium-stabilized zirconium oxide ZrO2 (YSZ) obtained by the ABAD method on a steel tape substrate is studied. The effect of magnetic preprocessing of the YSZ surface layer on the structure and texture of the epitaxial layer of lanthanum zirconate La2Zr2O7 (LZO) grown by means of liquid-phase polymer-assisted nanoparticle deposition (PAND) on the YSZ layer is also considered. We reveal the development of the structure and texture of the YSZ layer after magnetic-structure processing, which has a positive effect on the epitaxial growth of the deposited LZO layer and improves its structure and texture. A TEM image of the cross section of the LZO epitaxial layer, grown on the YSZ layer after magnetic-structure processing, showed the presence of small (2–5 nm) closed-type structure pores. The out-of-plane texture of the LZO layer grown on the YSZ layer after magnetic-structure processing significantly improves (Δω = 2.65°) compared with the texture of the LZO layer grown on the surface of the YSZ layer without magnetic-structure processing (Δω = 0.85°).